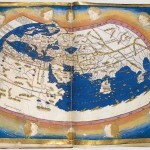 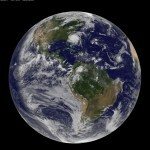 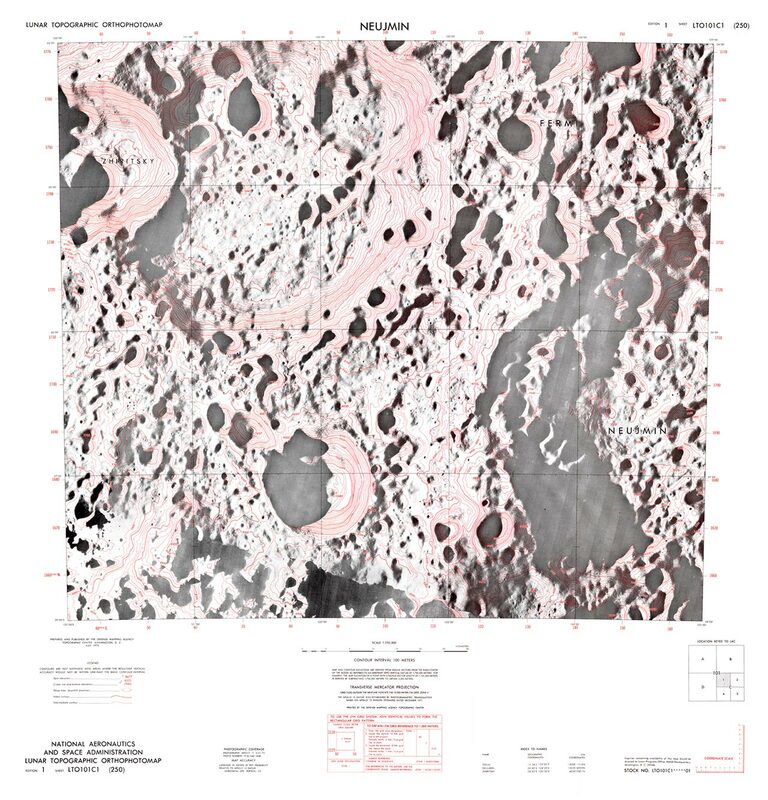 The Lunar and Planetary Institute (a self describing “research institute that provides support services to NASA and the planetary science community, and conducts planetary science research under the leadership of staff scientists, visiting researchers, and postdoctoral fellows“) has put online a huge database of high resolution topographic maps, geologic charts, satellites’ photographs and more of the lunar surface, along with material on Mars, Mercury, Venus, and other planets moons. 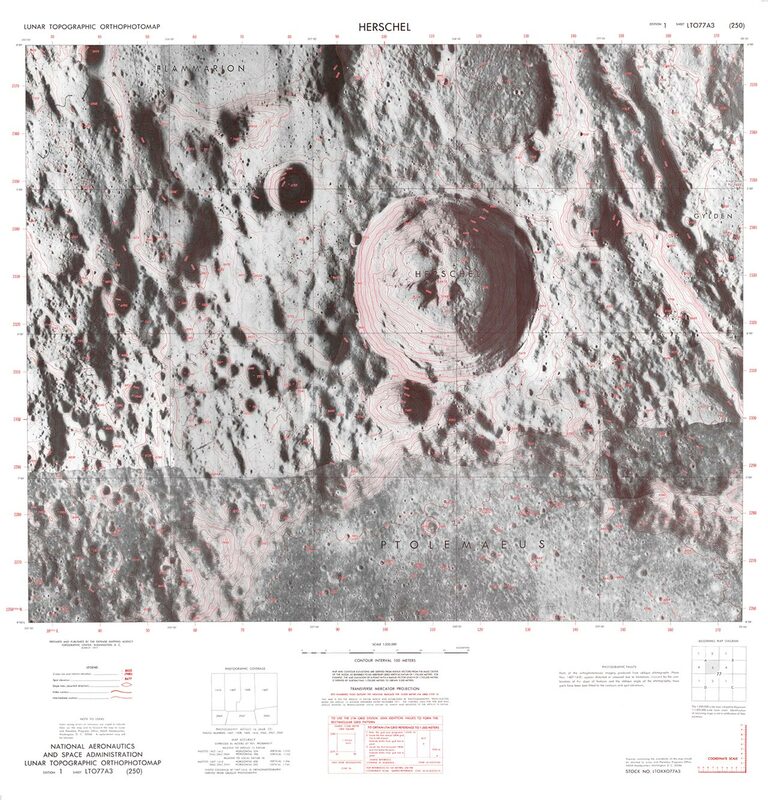 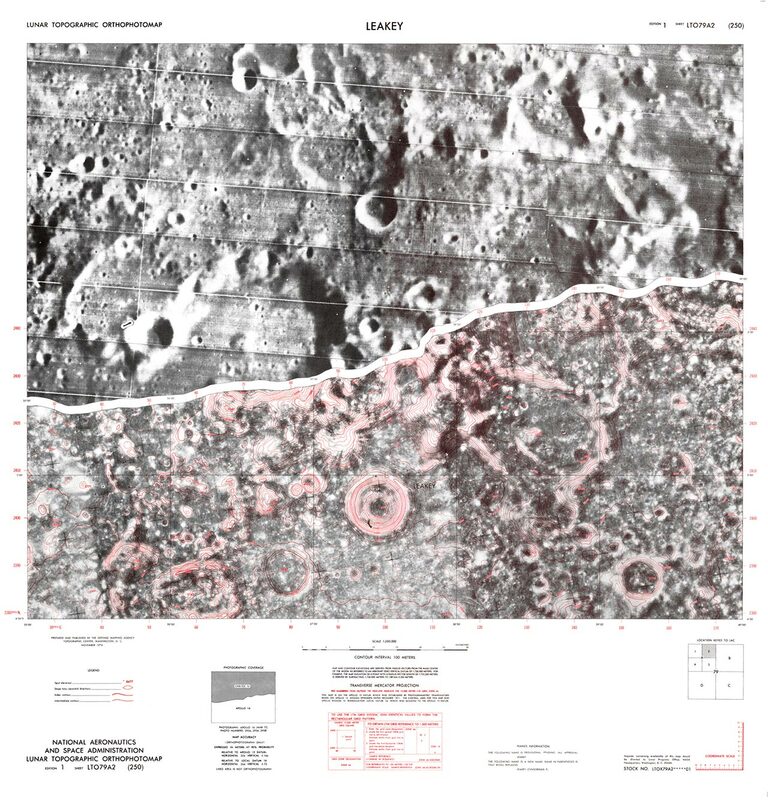 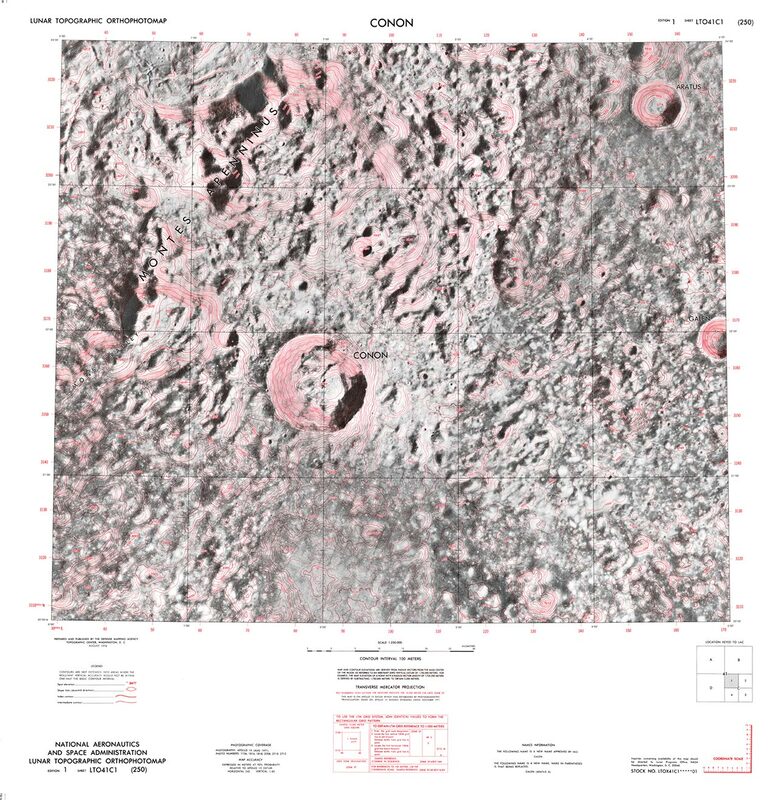 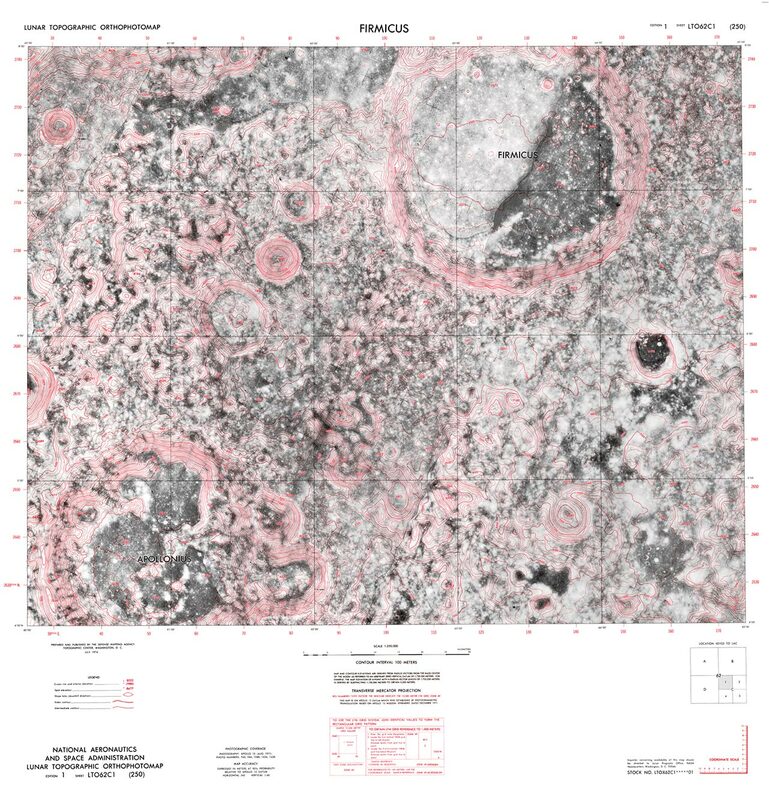 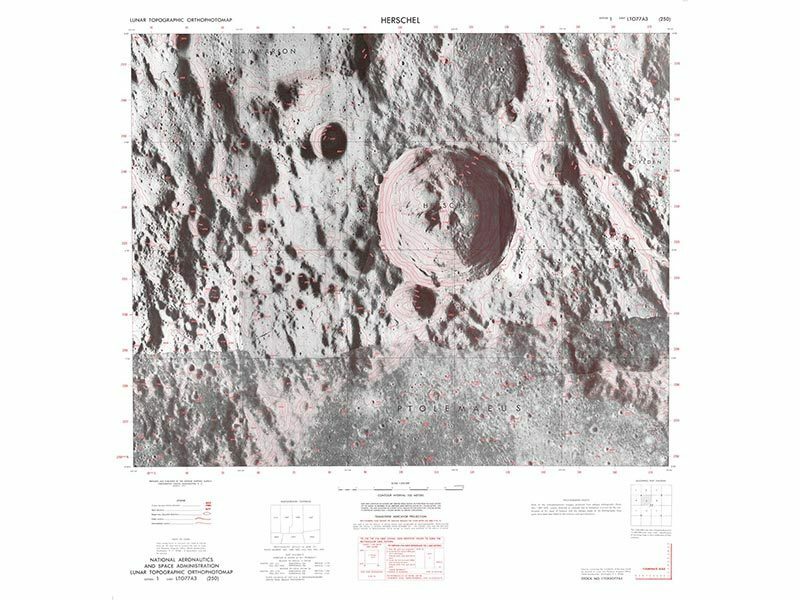 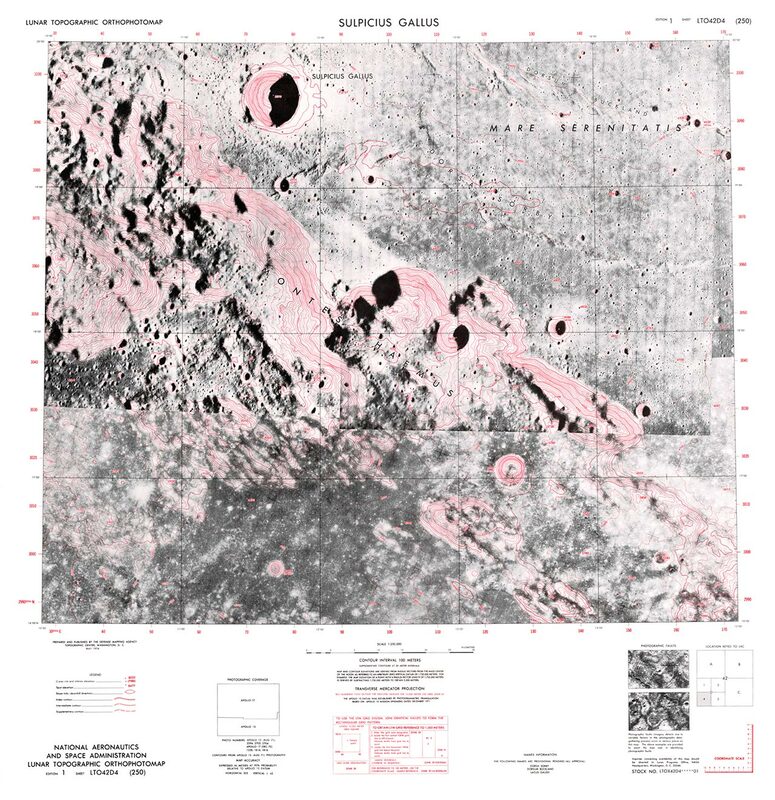 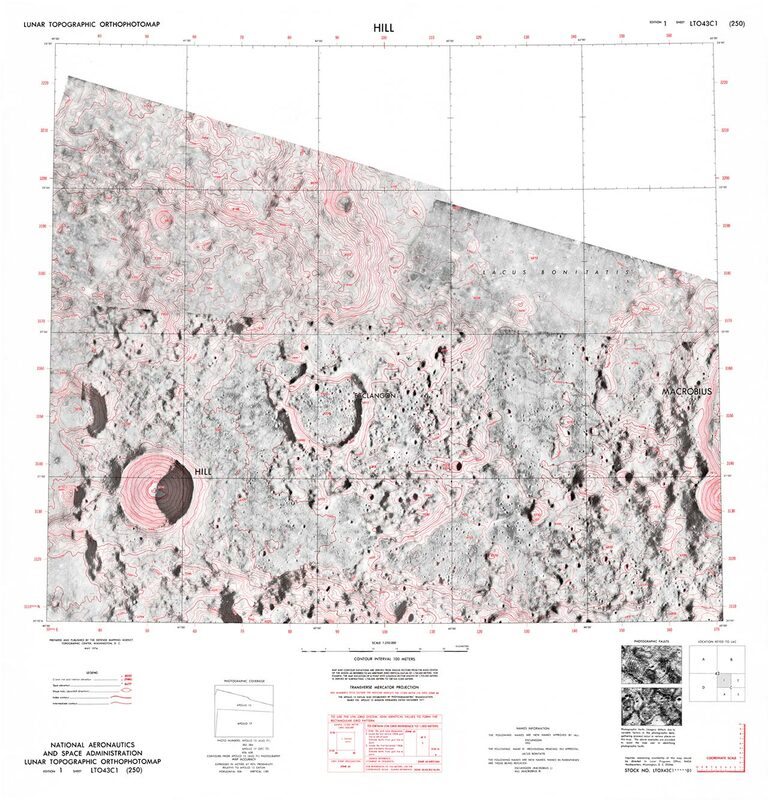 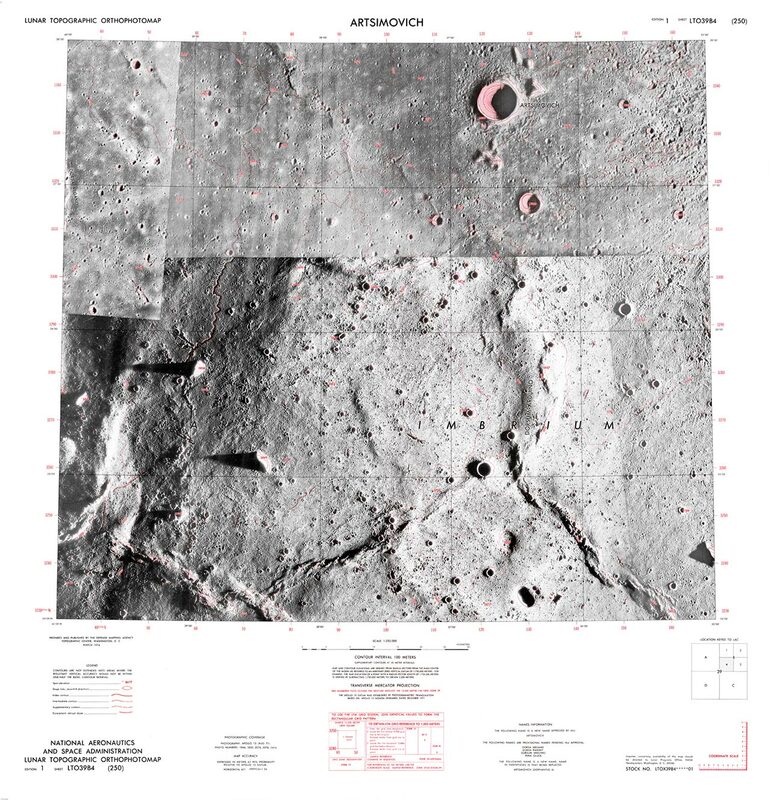 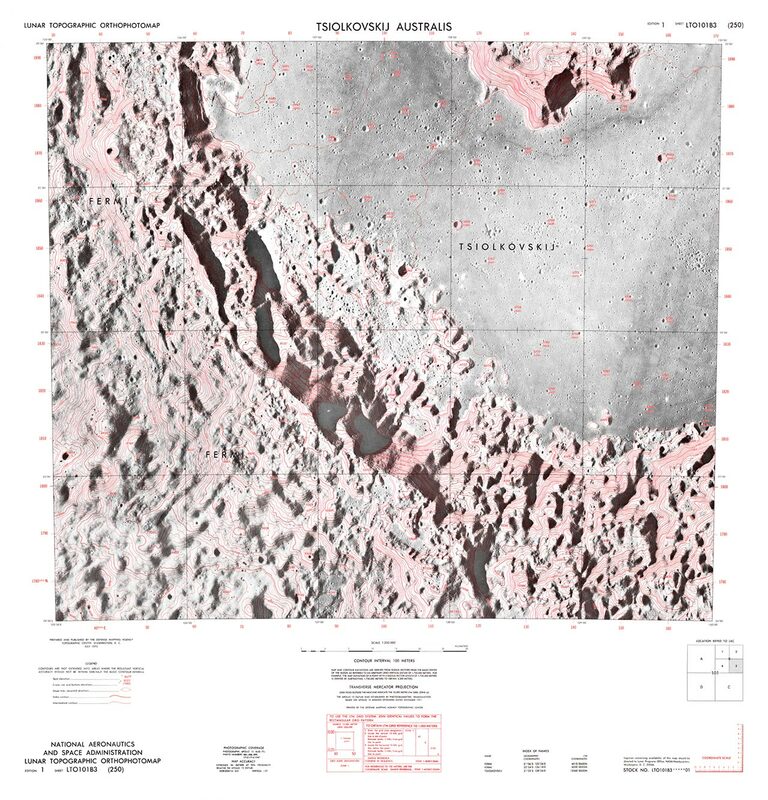 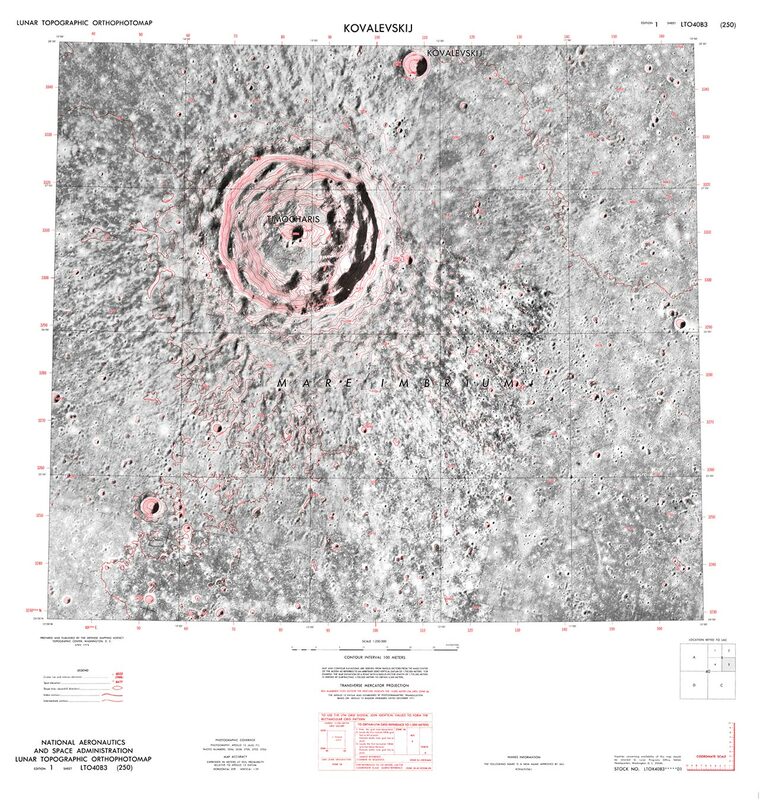 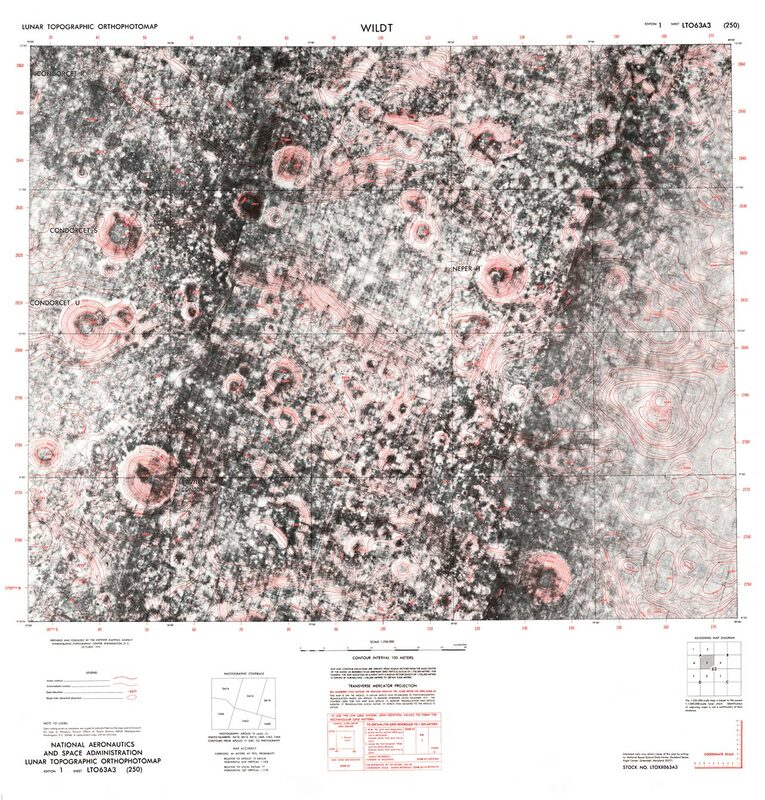 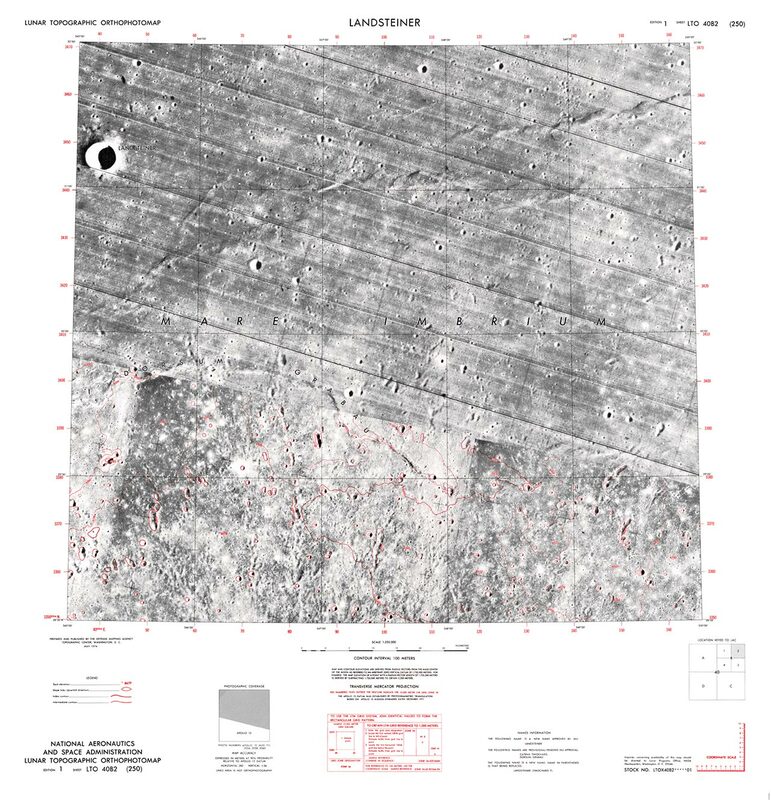 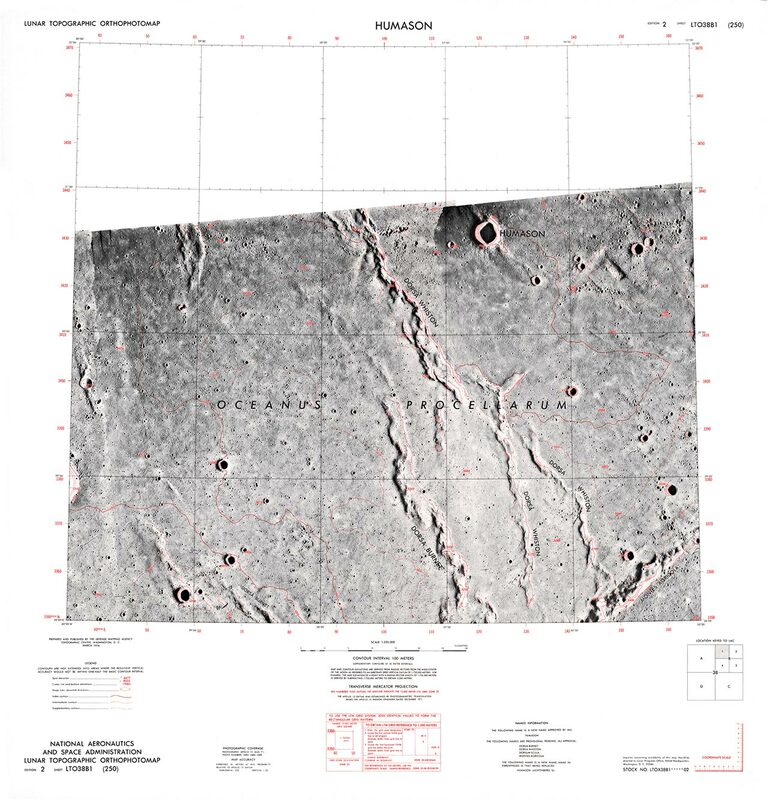 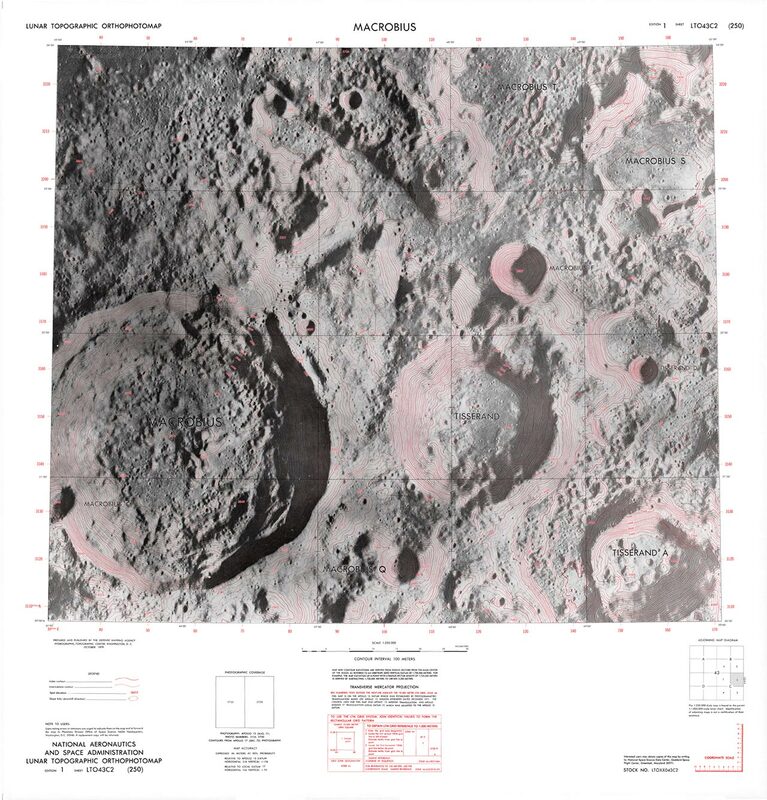 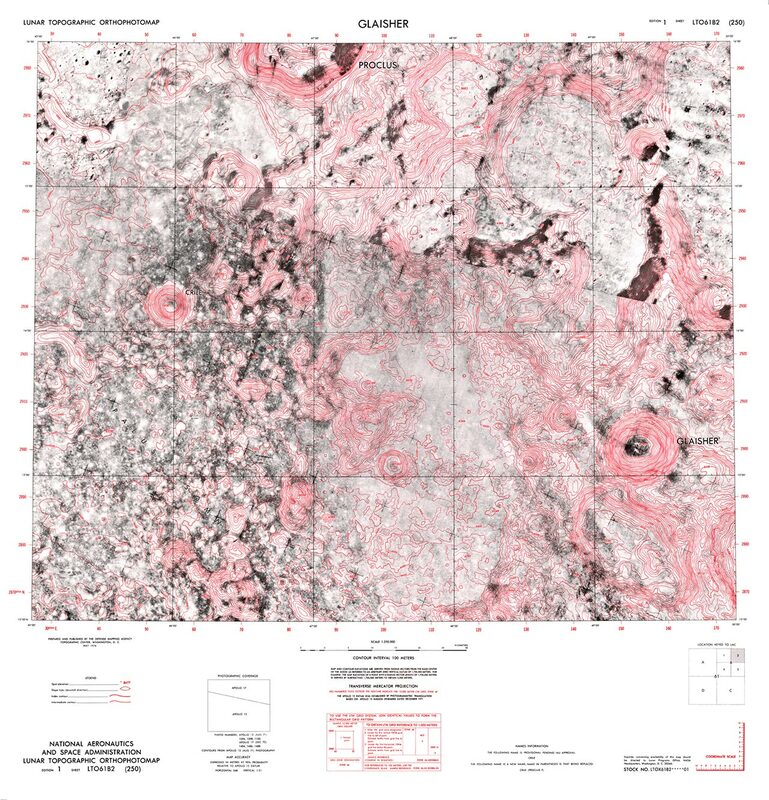 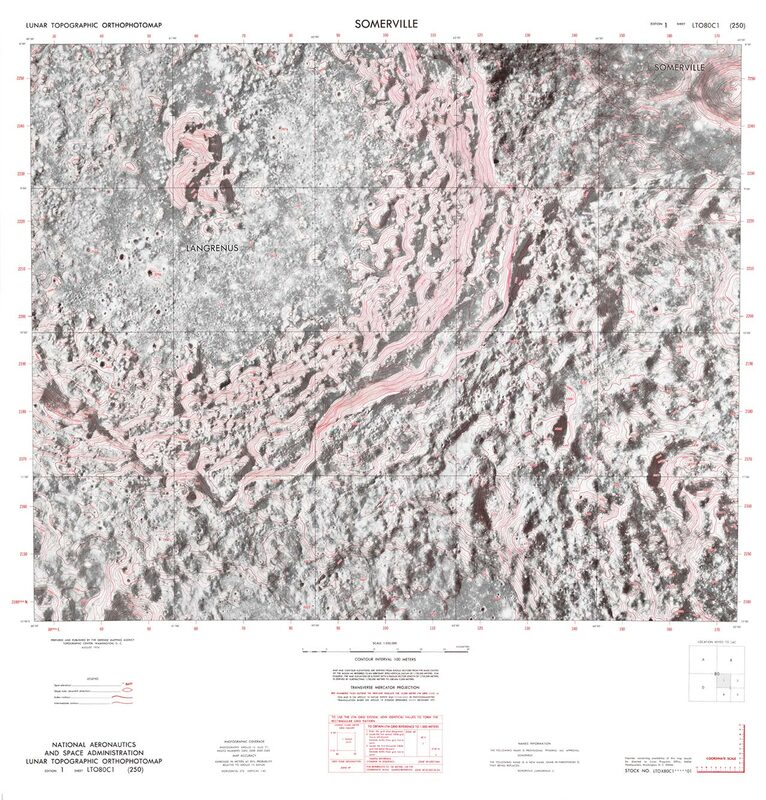 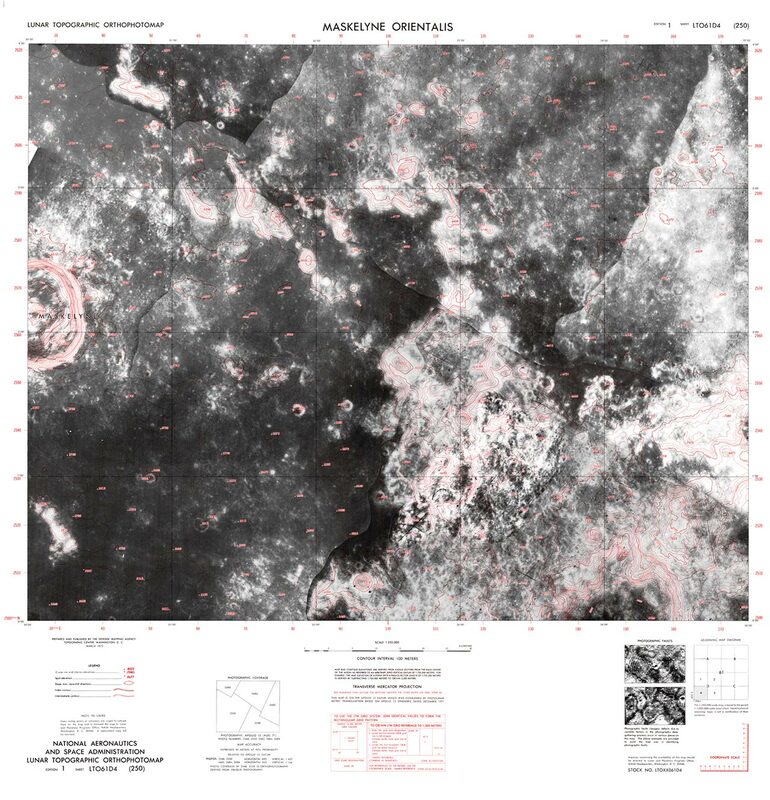 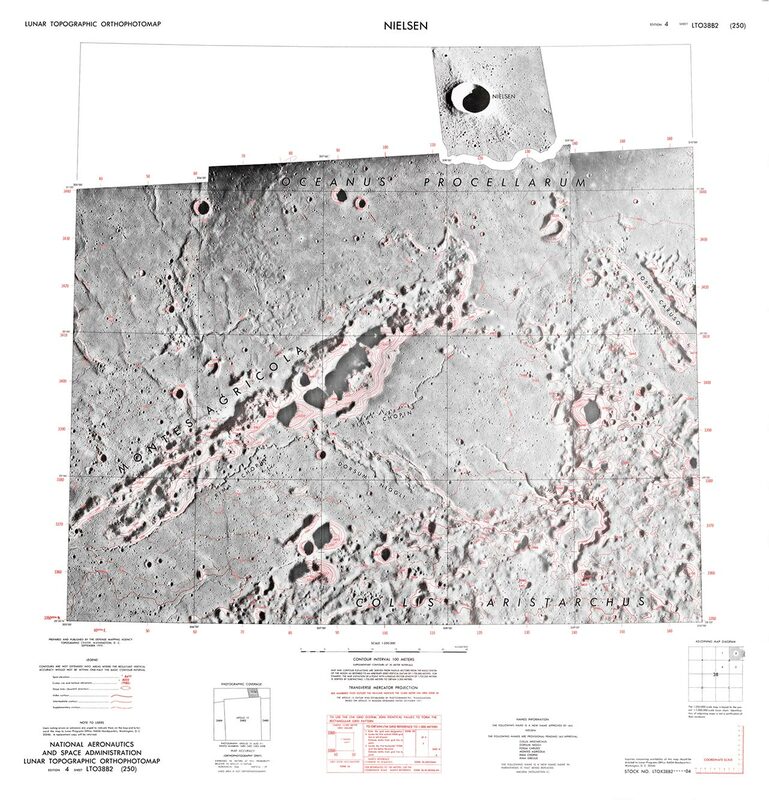 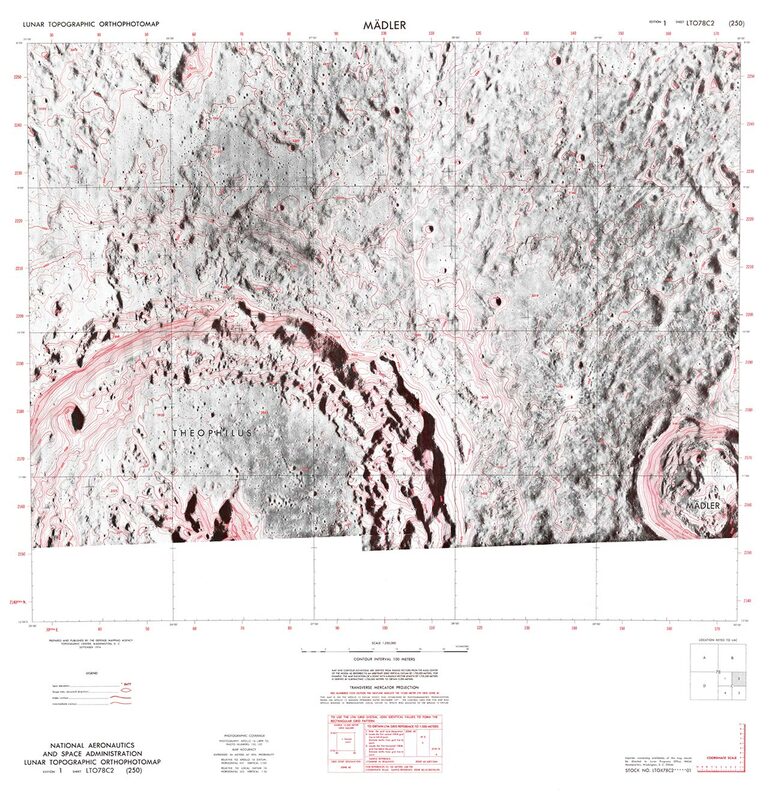 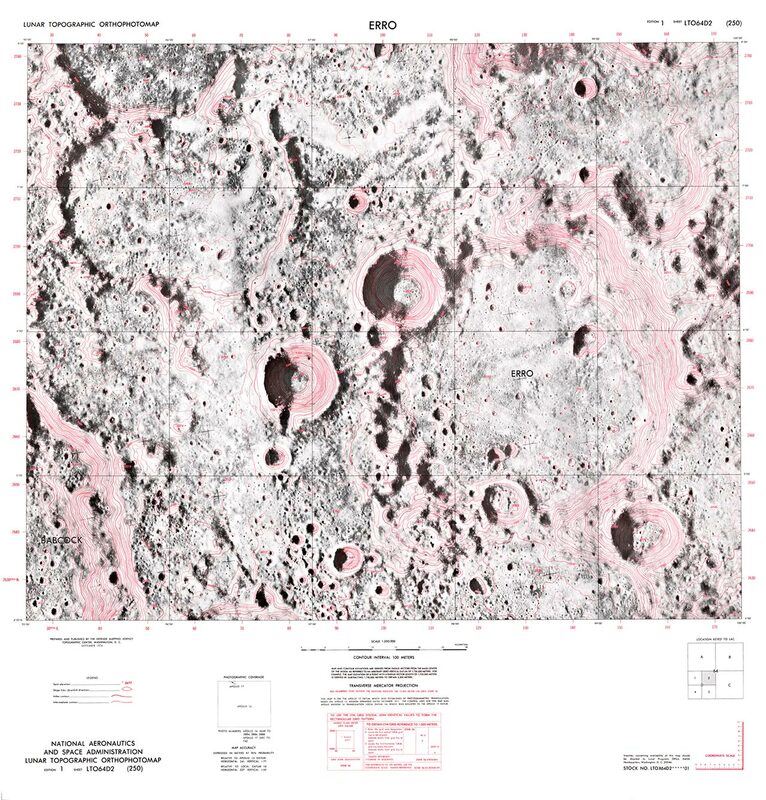 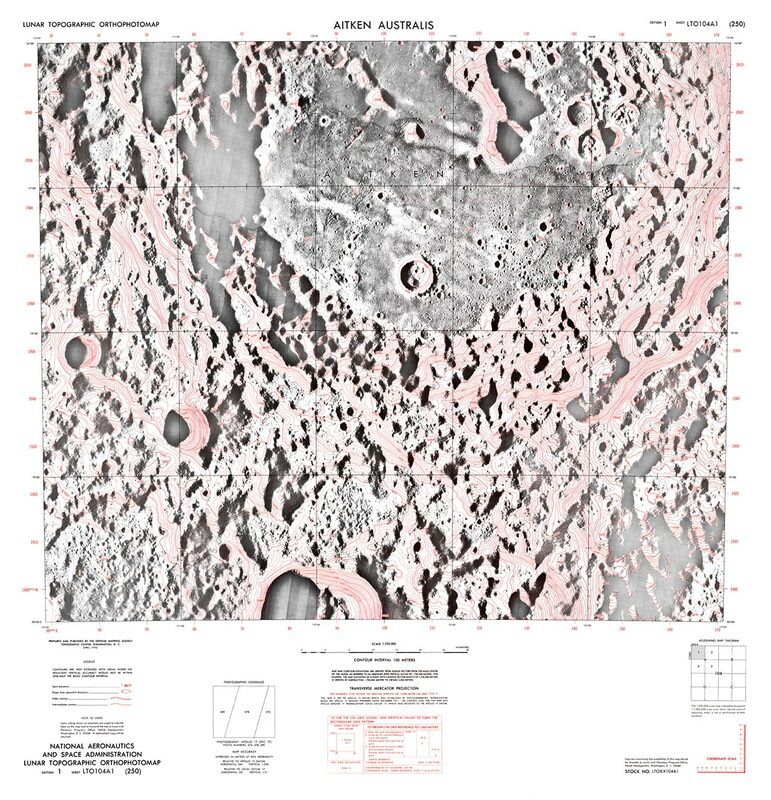 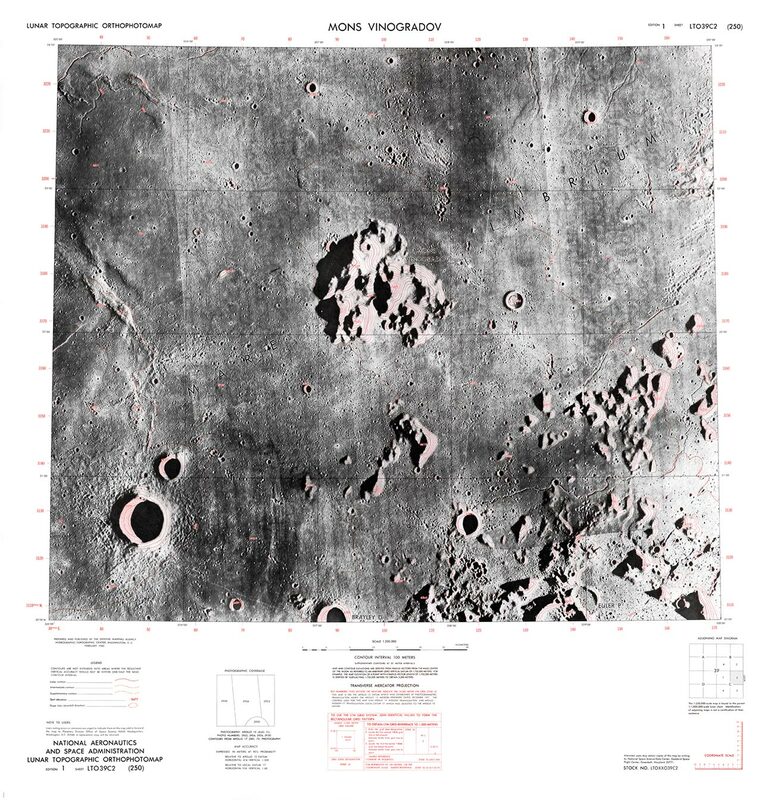 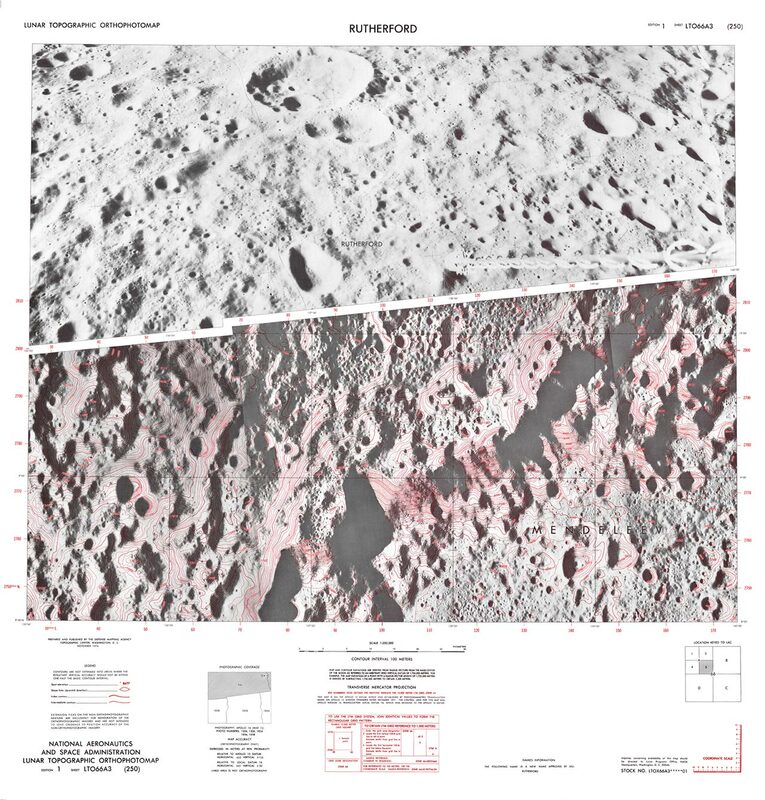 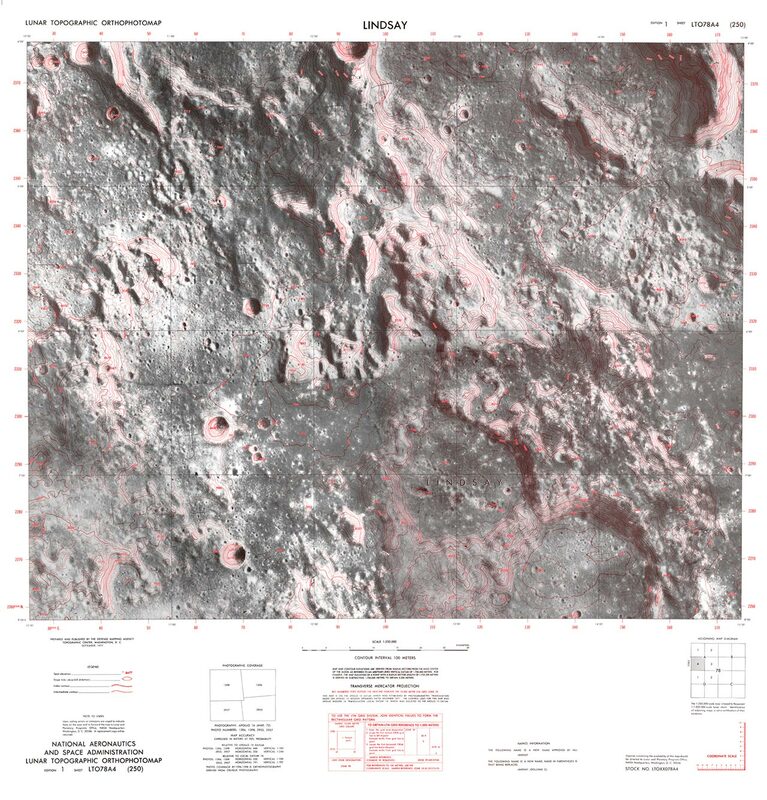 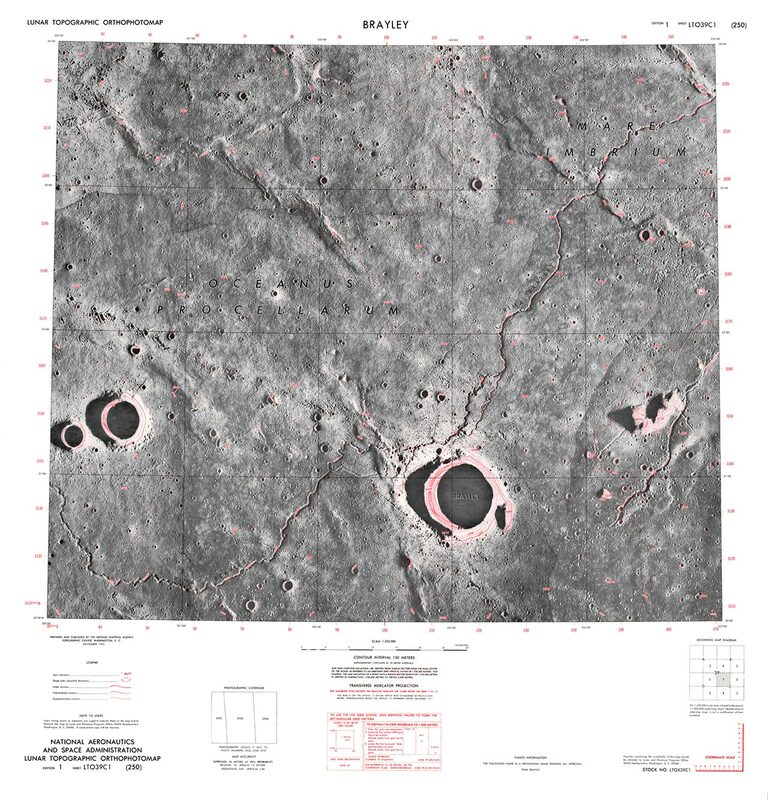 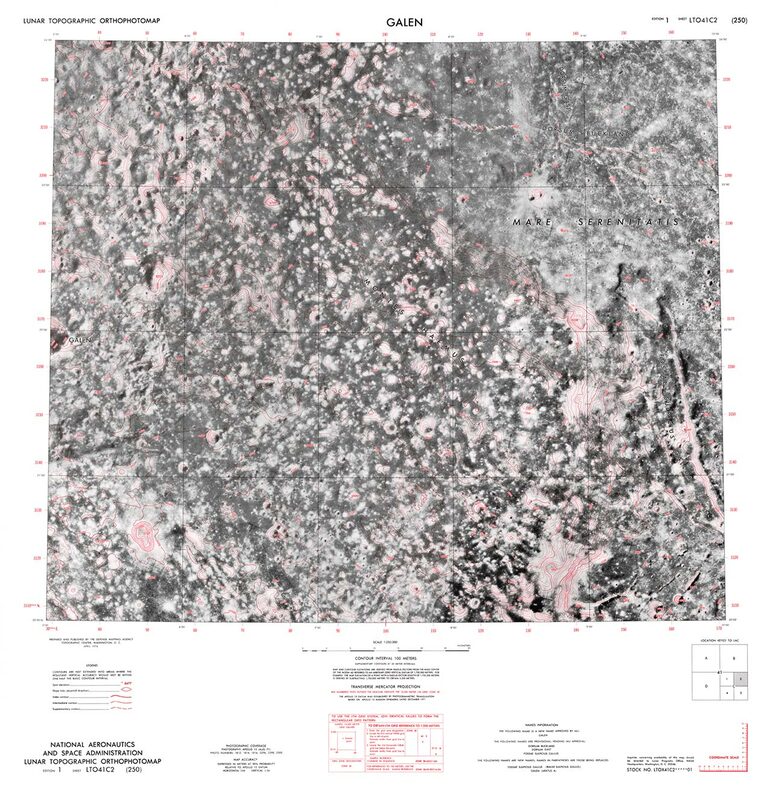 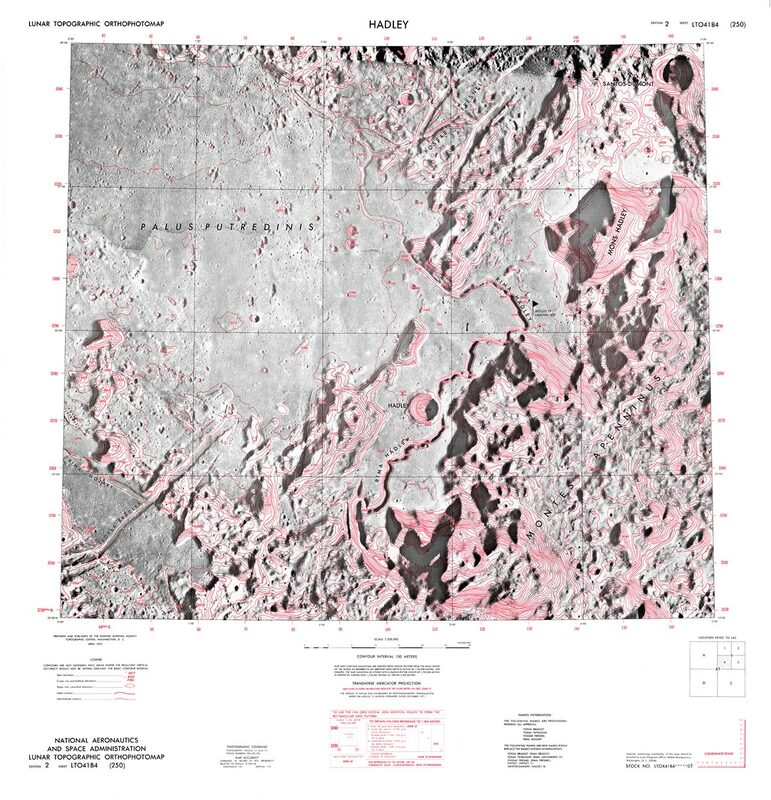 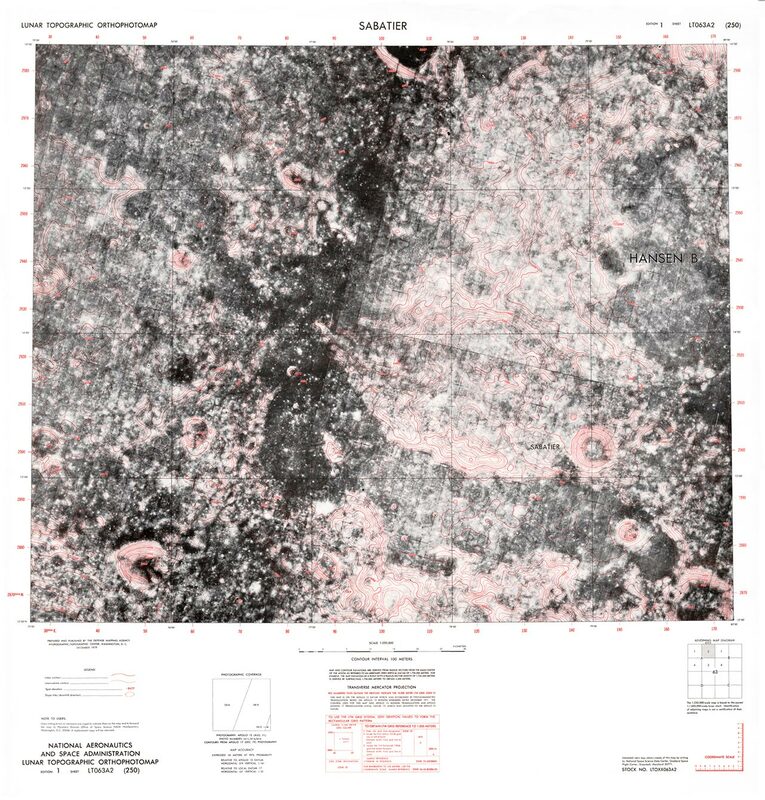 The following are selected examples of “Lunar Topographic Orthophotomap (LTO) Series” images, originally published by the Defense Mapping Agency at the scale 1:250.000, from the Apollo Missions 15–17. 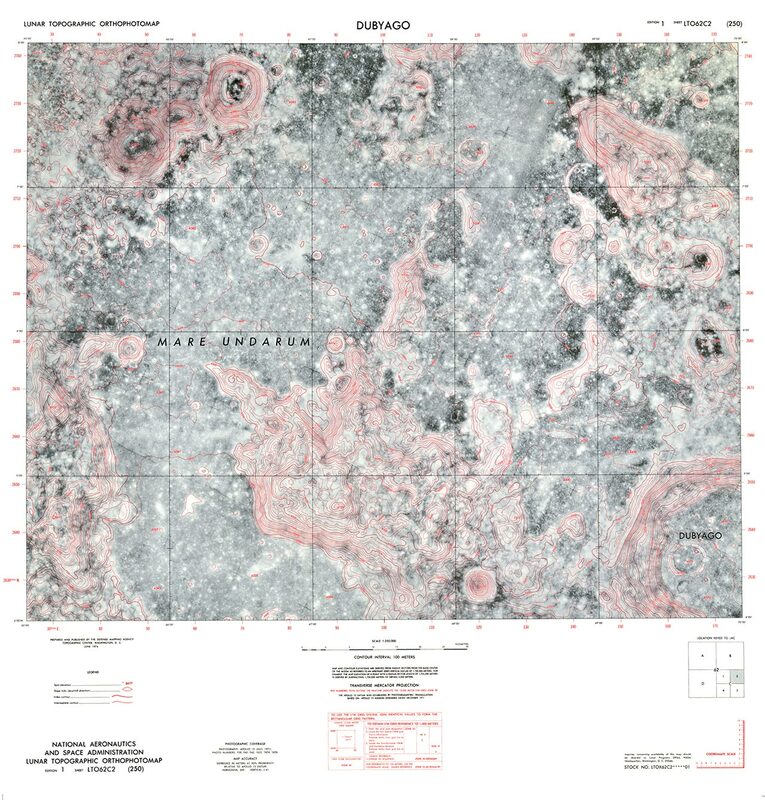 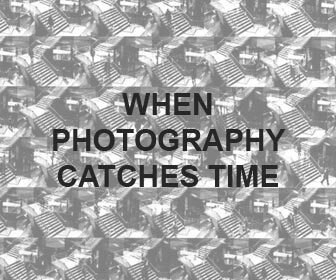 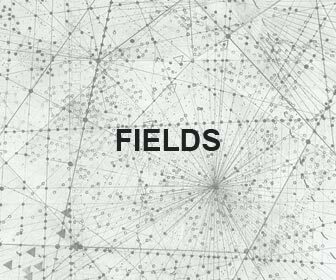 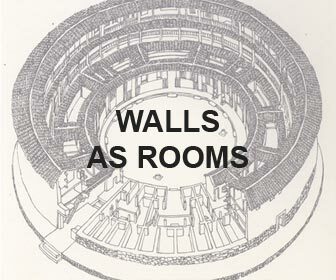 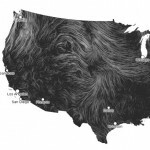 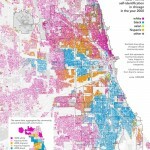 (1971-1972, maps elaborated in 1973). 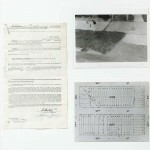 Also read the other documents contained in the LTO References dossier.